Need a scratch or dent fixed on your car? We’ll make it look brand new. 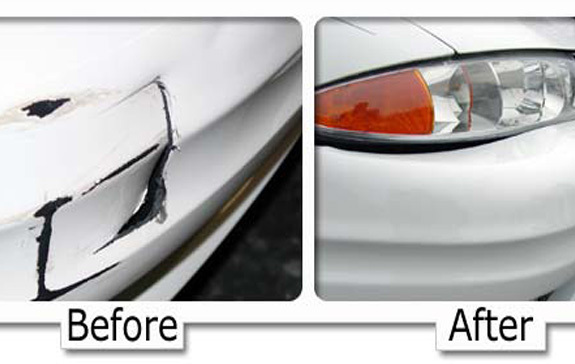 Bumpertek offers Sydney (and surrounds) the highest quality scratch and bumper repairs that conveniently comes to you. bumper, wheel and minor paint repairs. Bumpertek have been in the business for more than 10 years. We are proud to Deliver a world class service to your door. Our service areas include Sydney CBD, Penrith, Camden, Campbelltown, Liverpool and Southern Highlands. Bumpertek will come to you for an obligation free quote. Call us today! For any scraped, scratched, scuffed and dented bumpers you won’t find a better level of mobile bumper repairs in Penrith, Camden, Campbelltown, Liverpool and Southern Highlands. Bumpertek can help you to get rid of your car’s exterior imperfections quickly with mobile bumper and paint repair services. Changing Mag wheels is very expensive. 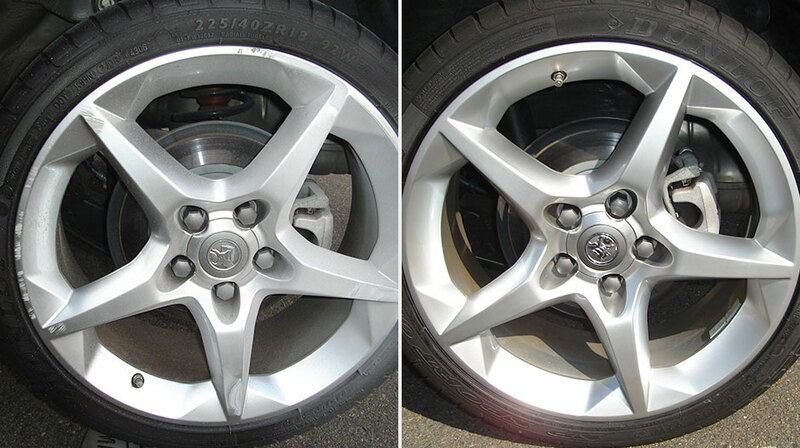 Damaged Mag wheels can create many problems like Tyre Damage, Air leaks etc. We are a leading Mobile Mag Wheel repairs company and provide the best service at your doorstep. Our highly trained staff use their expertise together with the latest technology to provide excellence in the job taken. Scratches and swirls make your vehicle look dull and rough. The most effective method to rejuvenate is the best buffing technique. We use the high quality products and non-scratchy cloth to remove the roughness and reveal the gloss of the vehicle.Bumpertek have been in the business for more than 6 years and providing professional buff and polish services in Penrith, Camden, Campbelltown, Liverpool and Southern Highlands. Stone chips and scratches on your vehicle can be annoying. 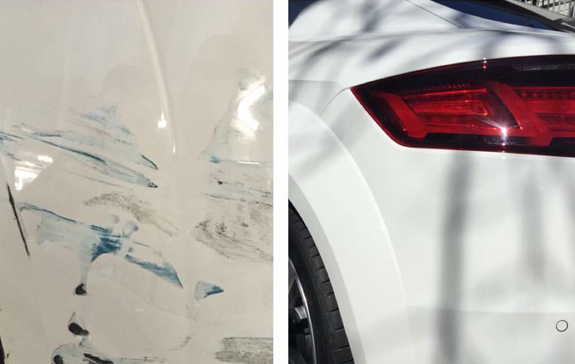 Our fully qualified technicians can professionally repair most minor scratches, scrapes, dents and scuffs at the fraction of the cost of traditional repair methods. For any chips and scratches repairs in Penrith, Camden, Campbelltown, Liverpool and Southern Highlands call us and we will reach your doorstep with our fully equipped mobile repair vans and complete the job to your satisfaction. Bumpertek have been in the business for more than 10 years. providing excellent vehicle services at your doorstep. We are specialized in Bumper Repairs, Mag Wheel Repairs, Buff and Polish, Minor Paint Repairs and Chips and Scratches Repairs. We used high quality products to return your vehicle to showroom condition. Our service areas are all over Sydney including Penrith, Camden, Campbelltown, Liverpool and Southern Highlands. Bumpertek is able to come to you for an obligation FREE on-site inspection to ensure quality vehicle services that exceed your expectations. Servicing Penrith, Camden, Campbelltown, Liverpool and Southern Highlands now.